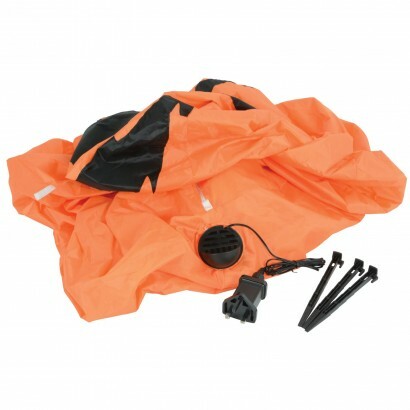 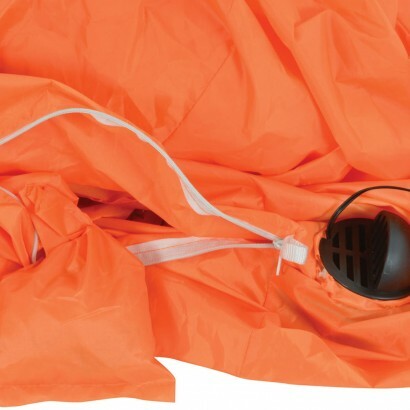 Standing at 1.2m high when inflated this spooky pumpkin Halloween decoration has maximum scare factor! 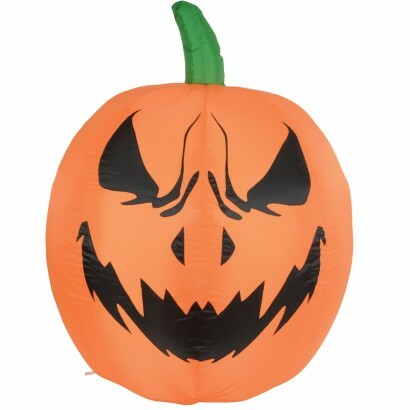 Vibrant orange with a demonic expression, this large pumpkin prop is guaranteed to give trick or treaters a scare, and makes a fantastic Halloween party decoration. 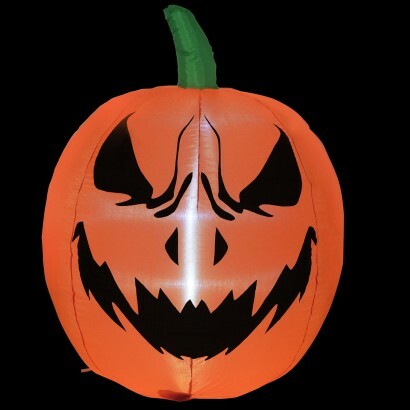 Self inflating with an internal fan, simply plug in for an instant fright and lit by LEDs this spooky pumpkin shines with an eerie glow. 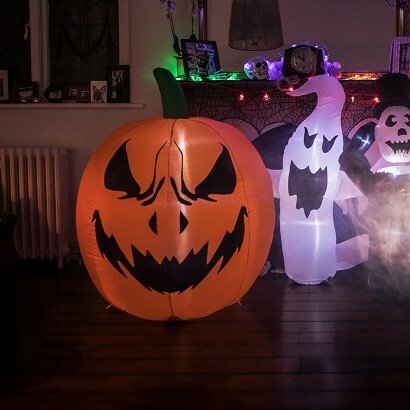 The base of the pumpkin is weighted to keep this creepy party prop upright and there's ground stakes included should you want to spook your neighbours placing it outside.